Shopping for Walking Dead Pop! Vinyl Figures? Teddy Bear Girl from the gruesome Walking Dead television series as a 3 3/4-inch Pop! Vinyl figure! 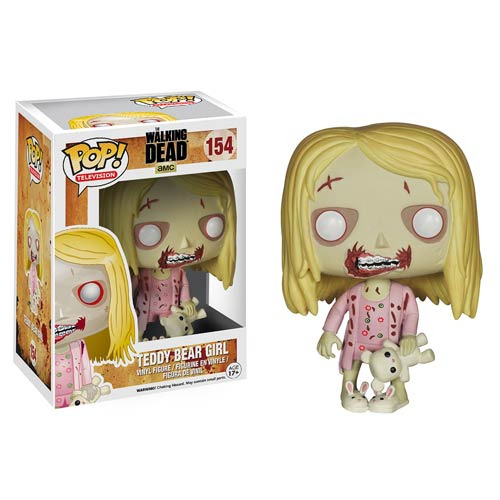 Fans of The Walking Dead can now get the ghoulish Teddy Bear Girl rendered in the awesome stylized Pop! Vinyl form. It looks great! Ages 17 and up.